The post MGM’s Bid to Buy Empire City Casino Could Get Regulatory OK Today appeared first on Casino News Daily. The Croatian Ministry of Finance has been crafting a legal framework that would re-organize the local gambling field in a manner that would require foreign online betting operators to obtain a license from local authorities or cease operations in the market, news outlets Jutarnji List and Total Croatia News reported over the weekend. Croatia’s current gambling regulations mandate that a betting operator should establish physical presence in the country in order to be able to operate in the local market. However, offshore online gambling operators have been targeting Croatian gamblers for years without holding the necessary authorization. According to local media reports, Croatia’s unregulated sports betting market is worth HRK2 billion (approx. $307 million). The country is thus losing millions in tax revenue as internationally licensed operators targeting local customers are not paying any taxes. Advocates of the current regulatory situation in the local sports betting market justify the fact that customers opt for unregulated operations with the “high and unjust” fees and taxes on betting winnings they are required to pay when gambling through regulated outlets. At present, gamblers are charged 10% on their winnings, with the rate going all the way up to 30% for winnings of over HRK500,000. The legal age for gambling in Croatia is 18. Gamblers that want to place wagers with any of the locally licensed betting outlets are required to register and prove their eligibility to gamble. However, Jutarnji List noted in its report on the matter that underage gamblers are able more easily to circumvent age verification requirements when registering with offshore operators. The Croatian Ministry of Finance has apparently been working on a legislation that would include requirements for unlicensed operators to either obtain licenses from local regulators or leave the market. However, critics of the current regulatory regime have pointed out that lawmakers have been taking too long to craft the new regulations. While other European countries have failed to introduce sports betting rules that allow international companies to operate in a regulated field due to the fact that they prefer a monopoly regime, the case is slightly different in Croatia. The country’s two biggest sports betting chains – SuperSport and Hattrick-PSK are both already owned by private companies. According to the latest figures available, Croatia’s regulated gambling market was worth HRK2.7 billion in 2016, with the state-owned Hrvatska Lutrija being the top performer with revenue of HRK500,000 that year. SuperSport generated revenue of HRK393.5 million in 2016, while Hattrick-PSK recorded revenue of HRK401.6 million that year. Local gambling insiders calling for a change in the nation’s current regulatory regime have pointed out that unlicensed operations should be combated by multiple organizations, including the Finance Ministry, the State Attorney’s Office, the Croatian Academic and Research Network (CARNET), as well as local courts as they are the only institutions that can enforce actual prohibition of unregulated activities. The post Croatian Lawmakers Consider Online Betting Market Re-Organization appeared first on Casino News Daily. Ukrainian poker player Denys Shafikov joined last night the exclusive club of WPT Main Event champs after coming through a 503-strong field to take down the WPT Russia RUB198,000 Main Event. The player claimed approximately $255,259 in prize money and the tournament trophy. Shafikov was thus crowned the victor of the first-ever WPT Russia. The major poker series spent the first days of the year at Casino Sochi in the Russian city of Sochi, bringing quality poker action to one of Russia’s most popular poker destinations. As mentioned above, the Main Event drew 503 entries who generated a prize pool of $1,358,200. It took seven days of action for the winner to be determined. The tournament was capped yesterday at the host casino with the six-handed final table. 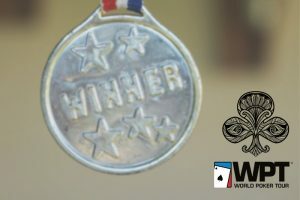 Shafikov entered that concluding stage of the tournament as the chip leader and totally bulldozed his way through the final table to eventually capture the trophy and the accompanying top payout. Shafikov held 5.335 million in chips at the start of the final day of play. He was well ahead of the remaining players, with Aleksey Gortikov being his closest competitor at the time with 3.36 million. Yauhen Kontush with 2.66 million rounded out top three of the pre-final table chip counts chart. Mikhail Galitskiy with 1.98 million, Oleg Pavlyuchuk with 1 million, and Nikolay Fal with 785,000 were the other three players to make it into the finale. Shafikov had already built a solid advantage over his opponents by the start of the final table and he only extended the existing gap as action progressed during the last day of the tournament. The player was responsible for three of the five final table eliminations, busting Galitskiy in 5th place and Fal in 4th place. Pavlyuchuk was the player to leave the tournament in 6th place early into Sunday action. By the time the field was whittled down to just the final three, Shafikov had a controlling stack and dominated action. Kontush exited the race in third place to leave it to Shafikov and Gortikov to battle it out for the title and the first-place prize. The two-handed match began with the eventual champion holding a massive advantage over his final opponent. However, Gortikov fought fiercely to narrow that gap and be able to attack the title. The duel lasted more than 60 hands during which chips swung back and forth, but Shafikov never really lost his foothold. On what turned out to be the final hand in play, Shafikov raised from the button with pocket nines and Gortikov moved all in with [Ac][7c]. Shafikov called to see the board deliver [Ks][3h][2d][9s][4h] and earn him the title and the first-place prize. Gortikov had to settle for the $171,236 second-place prize. From Russia all the way to Atlantic City, attention is now on the WPT Borgata Winter Poker Open and its $3,500 Main Event which kicked off on Sunday. The post Denys Shafikov Wins First-Ever WPT Russia appeared first on Casino News Daily. Japan’s Osaka, Wakayama, and Nagasaki Prefectures are all planning to apply to host the country’s first casinos, while dozens more areas are still reluctant due to public safety concerns, the Japan Times reported citing a recent survey conducted by Kyodo News. The survey covered Japan’s 47 prefectures and 20 major cities that are eligible to host integrated resorts with casino floors, the first properties of this kind to be built in the Asian nation. The country’s government finally passed a bill legalizing casino gambling in late 2016 after a lengthy debate that lasted more than a decade. As mentioned above, Osaka is among the prefectures that have expressed interest to bid for one of the licenses. It will bid jointly with the city of Osaka. Wakayama and Nagasaki Prefectures are also gearing up to participate in the race. According to the Kyodo News survey, all three prefectures have already selected candidate sites and are awaiting the start of the bidding process. The local governments of Tokyo, Hokkaido, and Ibaraki Prefectures and of the Chiba and Yokohama cities have also revealed that they are considering the possibility. As many as 17 local governments have told Kyodo News that they are undecided on the matter, while 40 local government have said that they would not apply to host a casino, citing concerns over public safety and related issues. The legalization of casinos in Japan prompted debates whether a nation that already has a gambling problem fueled by the locally popular pachinko machines needs additional gambling options. Critics of the move cited concerns over an increase in gambling addiction, which the government attempted to address with the introduction of certain restrictions in the way Japanese passport holders would be admitted to the future gaming facilities. Japanese residents will only be allowed 10 casino visits per month and will be charged a JPY6,000 entry fee. Those restrictions will not apply to foreign casino visitors. A number of major gaming and hospitality companies have followed closely Japan’s casino legalization process for years, hoping to be able to enter a nascent market that analysts believe could be worth up to $20 billion. As the bidding process for hosts and operators of the three casino resorts is coming close to being opened, some of the companies have become more avid to share their plans and their preferred locations. Las Vegas Sands, the Las Vegas giant led by casino tycoon Sheldon Adelson, has said that it has been eying Osaka as a host to its casino resort, should it win one of the three licenses. The company will compete with at least one more gaming and hospitality giant to develop a property in the major port and commercial center. Lawrence Ho’s Melco Resorts & Entertainment has too expressed interest in Osaka, and that interest has certainly grown after the city won the bid to host the 2025 World Expo. In Hokkaido, Hard Rock International has recently presented its concept for a World-Class Entertainment Resort. The Florida-headquartered company plans to leverage its more than three-decade experience in Japan (through its Hard Rock Cafe chain) to build an integrated resort in the city of Tomakomai that will include a guitar-shaped hotel, a casino, a Four Seasons-branded resort within the resort, Broadway-style theaters, and retail and fine dining space, among other facilities. The post Osaka Keen to Host Casino, Other Japanese Prefectures Still Reluctant appeared first on Casino News Daily.